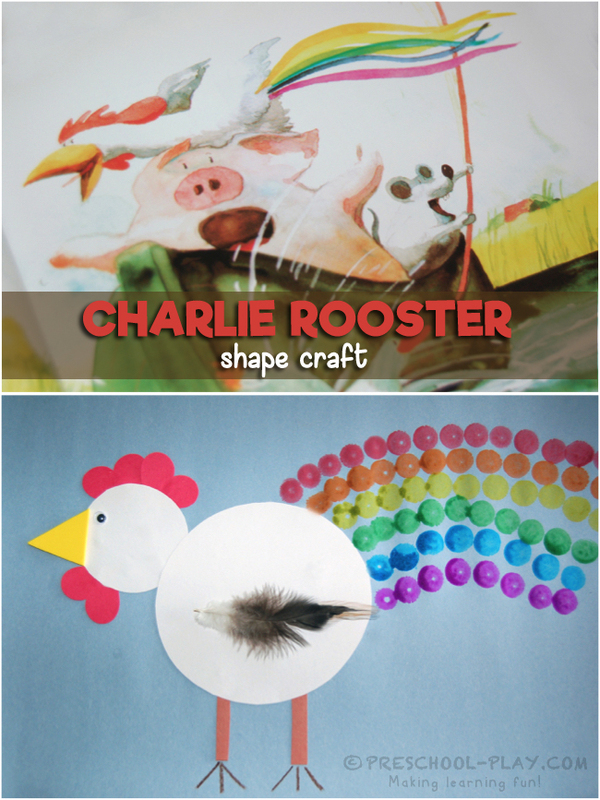 This Charlie Rooster shape craft is a fabulous extension to the story Friends written and illustrated by Helme Heine. 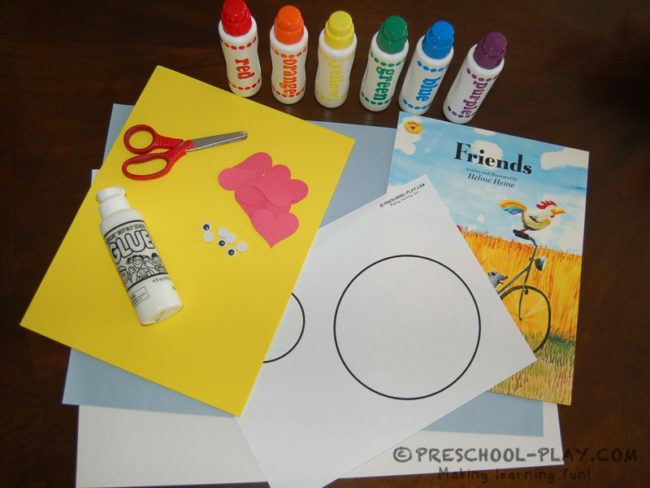 Together, these activities teach pro-social behavior, shape knowledge, and color recognition. As children grow, they become increasingly interested in establishing friendships. Friends provide stimulation, assistance, camaraderie, and affection. Charlie Rooster, Johnny Mouse, and Percy the pig are the best of friends. They do everything together. They ride their bike together, play games together, and even do their chores together. Because that’s what best friends do. This charming book glorifies friendship; proving that friends can make even the most simple, everyday delights seem extraordinary. 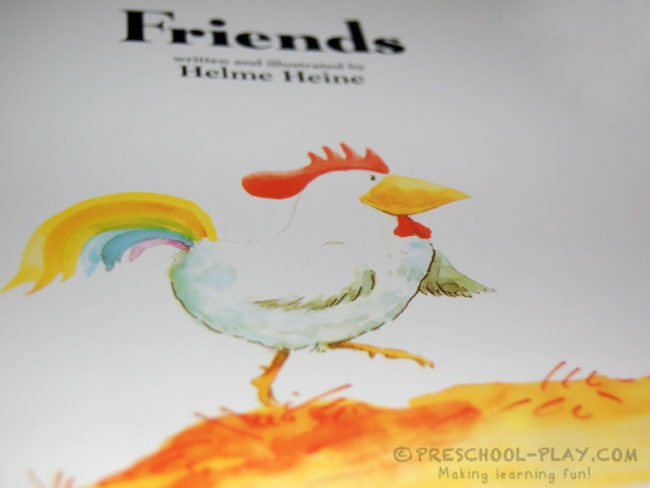 In cheerful watercolors, Helme Heine depicts the tremendous spirit of these adorable animals, who are filled with the enthusiasm and pleasure of companionship.